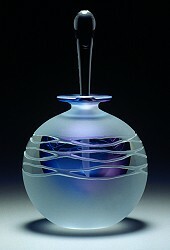 Mary Angus began working with glass at Southern Connecticut State University in 1973. After graduating in 1975, Mary set up her first studio in Branford, Connecticut with three friends from school. 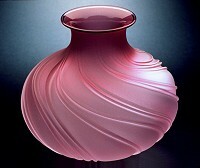 In 1983, Mary and her husband, fellow glass artist K. William LeQuier, moved to the small town of Readsboro in southern Vermont. Both artists share the glass studio they built in a 100 year old mill building in the village center. Mary's glass is exhibited and sold in many fine craft galleries and juried craft shows nationwide, as well as through her own studio in Readsboro. Copyright © 2008 - 2019 Mary Angus - All rights reserved.